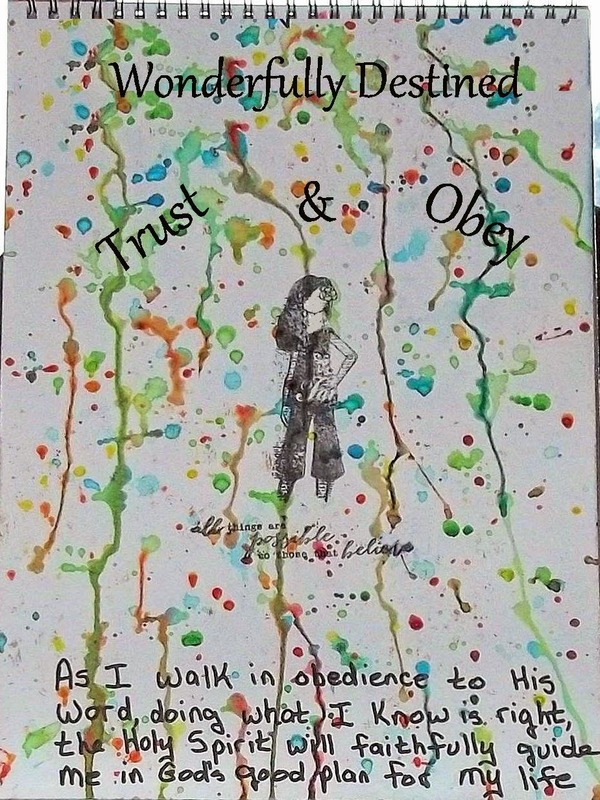 The background is made splattering different colors of Watercolor Paints on it. The girl and the text right below it are from a stamp set from Close To My Heart. The Wonderfully Destined and the Trust & Obey are stick on letters. I hand wrote the words on the bottom.